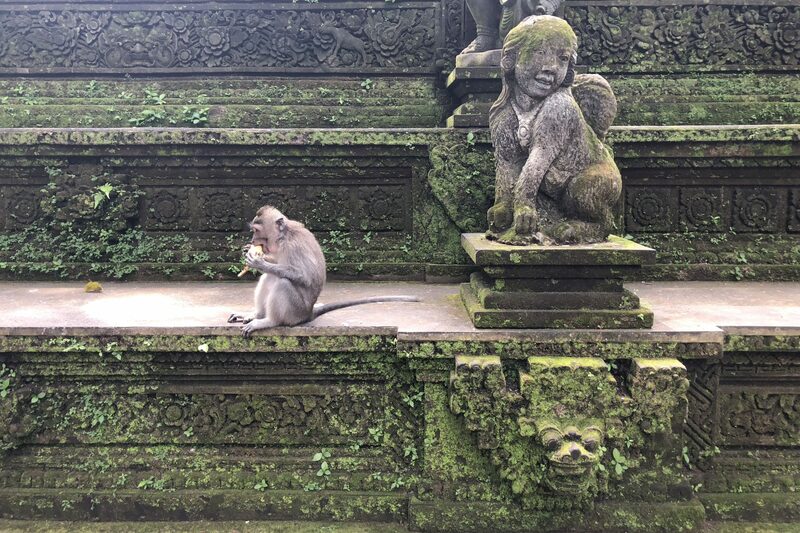 If you want to get one hell of an experience in Ubud Bali then be sure to go to the Monkey Forest. 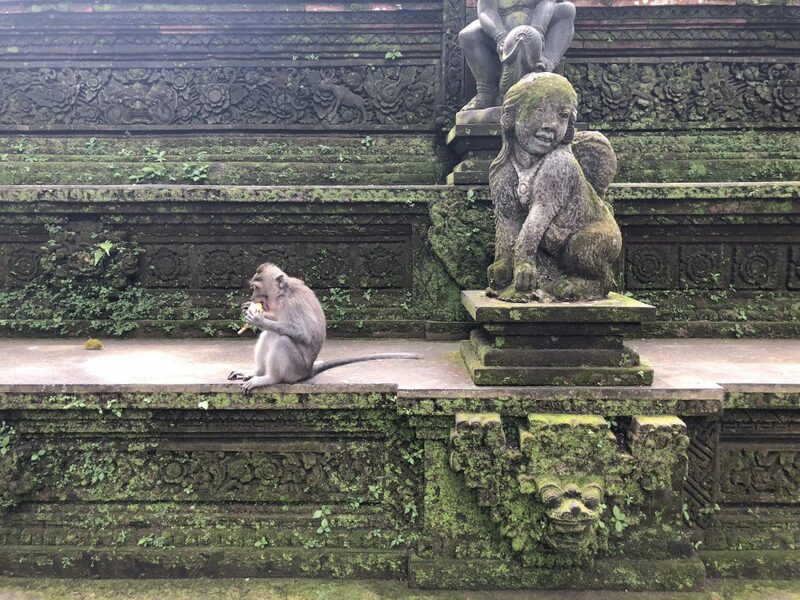 The Monkey Forest is a unique experience because instead of you walking in some zoo-like attraction with caged animals, you’re instead surrounded by free-roaming monkeys. You are literally in their home. 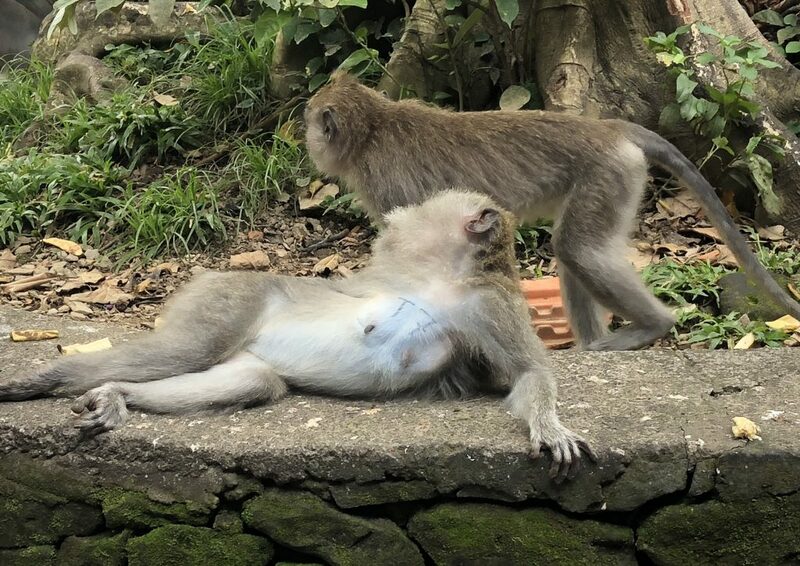 Being able to see the monkeys go as they please is something you’ll never get to see at a zoo no matter how many times you go and that’s the type of attraction I want to see more of. The cost is crazy cheap. The entrance fee for the Monkey Forest is equivalent to $3 USD. I’ve had ice coffees more expensive than that. You do also have the option of buying bananas while you’re inside the forest in attempt to get monkeys to jump on you. The cost is close to $1.50 per bunch of bananas. What?! Monkey’s can jump on you?! Most definitely. If you’ve seen pictures of people online with monkey’s on their shoulder… buying bananas is exactly how they were able to get that picture. Without buying the bananas, you have about a 2% chance of a monkey actually jumping on you. So if you’re wanting that experience, be sure to bring a couple more dollars worth of rupiahs in order to get some bananas. If you’re on a budget, this is the perfect place to go. The location is fantastic. 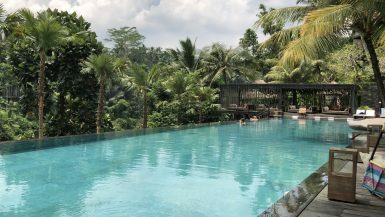 It’s right in the city of Ubud so you won’t have to worry about taking a lengthy Uber to get there. Actually, depending on where you are staying, you could easily walk there. If you were brave enough to drive a scooter through the city (definitely not me) then it is also easy to drive your scooter there. 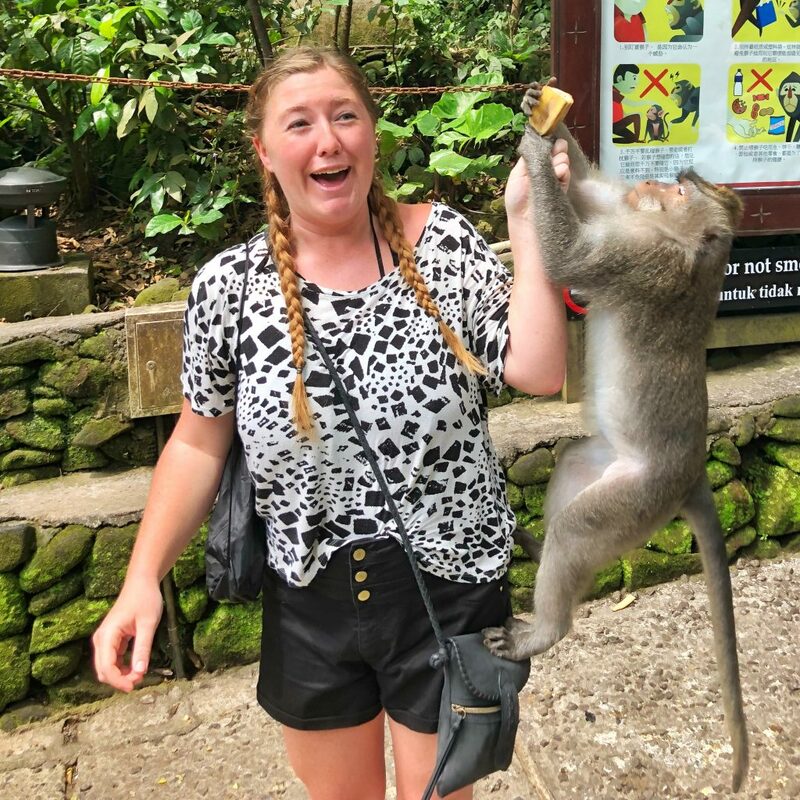 Feeding the monkeys at the Monkey Forest is honestly the best part of the trip. They literally jump on you with no cares whatsoever. Don’t expect every monkey to jump on you though. Since there are so many people that come through the forest, the monkeys get lots of food. Typically they’re not always hungry but there’re plenty of monkeys in the forest so it should be pretty easy to find one that wants a banana. Tip: When feeding the monkeys, they jump quick and like to move fast. Some stay on your shoulders for a minute or so while others jump straight off you. Instead of asking someone to take a picture, ask them to take a video. That way you’re able to capture every second. Then, take a screenshot of the best part of the video to get that Instagram worthy picture. 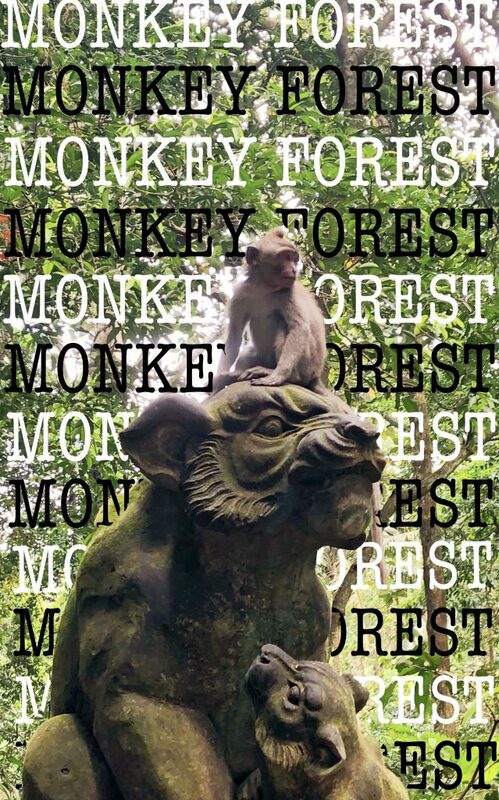 Do know that there’s some precautions before going into the monkey forest. Most are common sense (well, I hope they’d be considered common sense anyways) such as don’t attempt to grab the monkeys, scare the monkeys, etc. The main rule though that many people might not tend to think about is this: don’t bring food into the forest. The monkey’s can smell the food from a mile away and they will try to get from you. It’s best to keep all food in a backpack or, better, just leave your stuff at the hotel. If you’re afraid of the interaction with animals don’t be. I felt completely safe the whole time I was there. The monkeys are harmless. It was definitely something I don’t regret doing. So what are you waiting for? 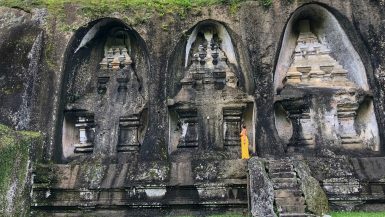 Buy the Plane Ticket to Bali! My name is Kayla and I've been saving money for 5 years now. It started out with saving money on food with extreme couponing. Then I switched it up to getting free clothes & household items. Now, I'm traveling the world at a ridiculously low price. People are astonished at how I'm able to find these amazing deals - which is why Buy the Plane Ticket was born. 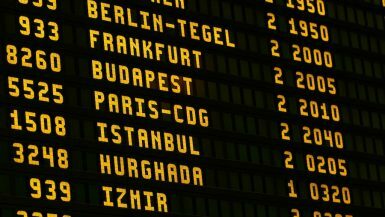 I'm here to show you EXACTLY how I find these crazy prices while giving you a little bit more wanderlust along the way. Disclosure: Please note that some of the links on this blog are affiliate links and, at no additional cost to you, I earn a commission if you make a purchase.